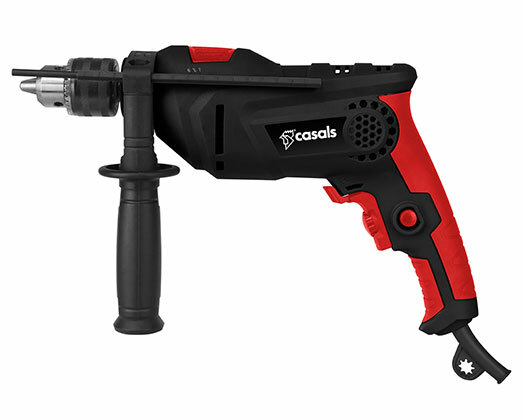 The Casals 810w Impact Drill is fitted with a 13mm Keyed chuck with a powerful 810w motor, perfect for both domestic and semi-industrial use. Variable speed control, reverse and Hammer/Drill functions make the Casals 810w Impact Drill, your versatile partner. 360° Auxiliary handle and depth gauge are included. 360° adjustable auxiliary handle with depth stop gauge.